At this point, you should have a snapshot of the base OS with the .NET frameworks and Office 2007 on board. 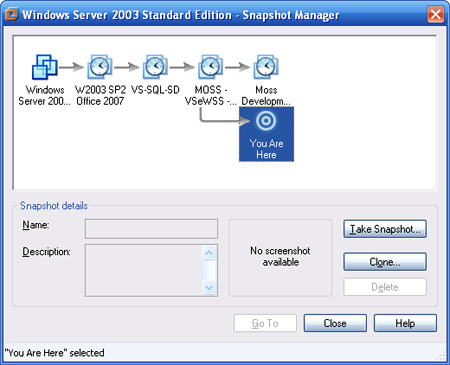 Now we will create a linked clone in the Snapshot Manager and install the development tools. Tip: pick short, meaningful names for your VM instances so that you can make them out at a glance when you open Snapshot Manager. My layout has one more instance than the version described here, but it doesn't really matter. The main factors affecting performance are the external disk speed and available RAM. Note that some of the extensions need MOSS/WSS installed first, so that's why these installs are in a certain order. Start by installing VS 2005. I'm using the standard version. Professsional is needed for Office development. The goal here is to be able to sit down at home and start developing. Even WSS on its own, which comes free with Windows Server 2003, is perfect to start coding against. At this stage, you should make a shortlist of the developer tools you normally work with, and install these also. 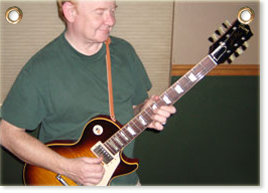 Perhaps, the Firefox and IE7 developer toolbars, Notepad2, Reflector, etc. 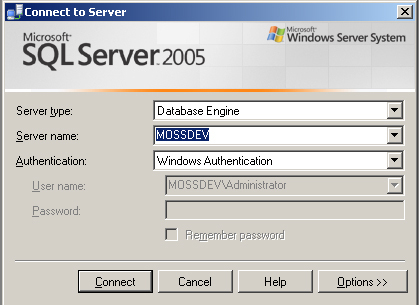 Next, install SQL Server 2005. As with the other installs, you can install directly onto the VM using an ISO image. When in doubt, opt to install everything. Choose the Default Instance and Built-In System Account option. Select Local System from the drop-down list. Choose Windows Authentication Mode and select defaults for everything else. Re-boot if prompted, then run the updates. Download and install whatever is suggested.